Events Component for Community Cloud – Updates! New Year is coming and we’re ready to present our nice little update to our customers! On the list view of all events, you can see the start/end date of the event and a full venue address. 2. The calendar on the right displays important dates in two colours. Click on the date coloured in brown – you’ll see a list of events you’re going to. 3. Click on the date coloured according to your colour palette (in my case, it’s green) – you’ll see a list of events planned for this particular day. You can join them or reject by clicking the “Going?” button. 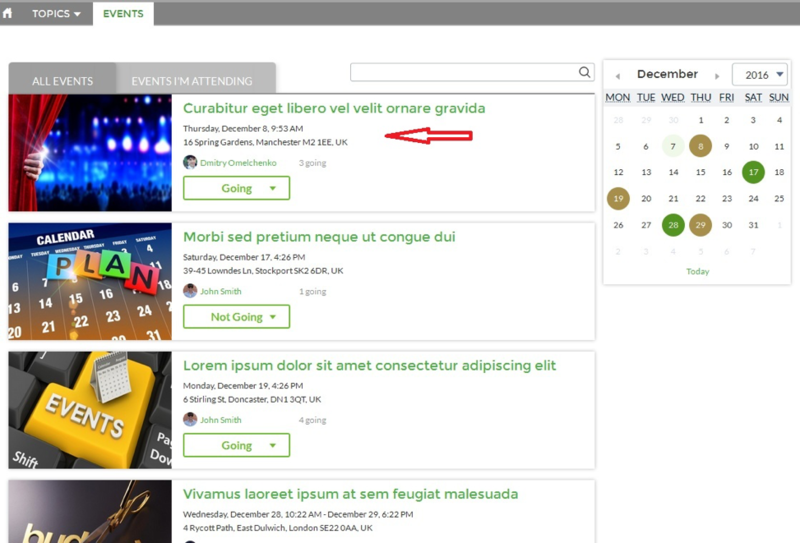 Enjoy our free improved Events Component for Community Cloud!